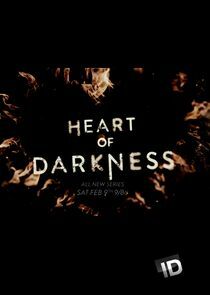 Heart of Darkness is a series about love, hate, and how trust can shatter in an instant. Episodes detail casualties of love, including former partners, jealous friends, scorned sons and daughters, and devoted family members. Twisting through hidden affairs, love triangles and family secrets, Heart of Darkness shows the transfixing power of emotion and how it can beckon the most reasonable people into criminal madness.